The children had a fantastic time on World Book Day. Each children enjoyed story telling sessions in the new library. The children were very impressed with the library and can't wait to use it regularly. 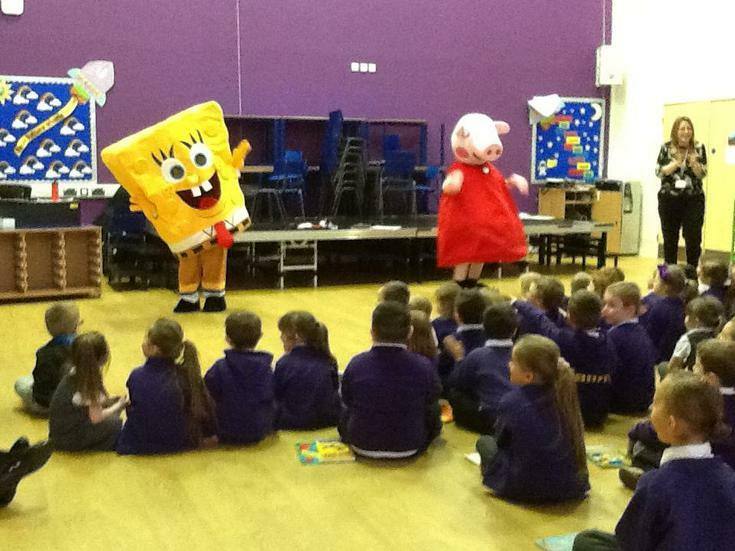 Two special visitors joined our Assembly, the children were very surprised when Peppa Pig and SpongeBob walked in and were thrilled when they did a special dance.